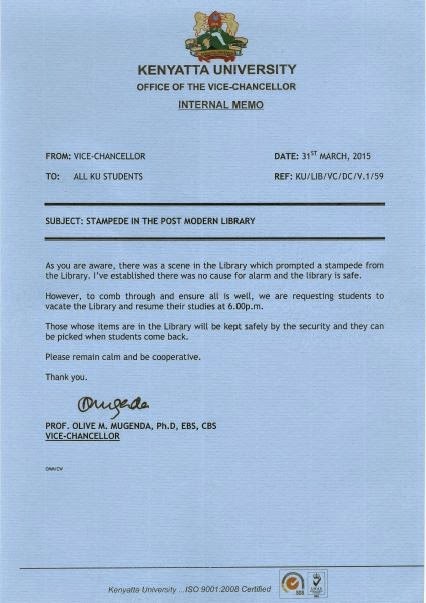 There was a stampede at Kenyatta University’s ‘Post Modern Library’ yesterday after rumours of an Alshabaab attack spread. 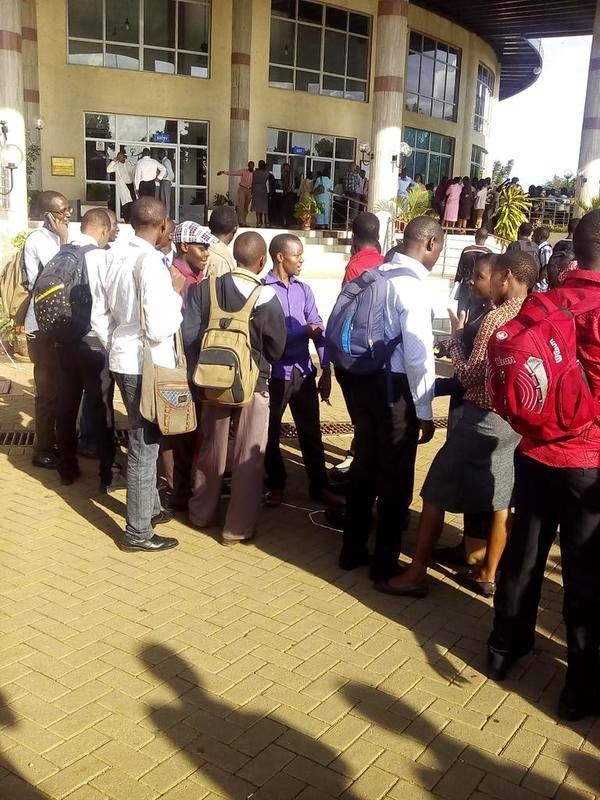 At around 5pm, normality was disrupted after students, believed to have been in the basement, stormed out claiming to have felt some tremors. Word soon spread across the 5 floors and everyone took to their heels. Some sources say commotion between a security agent and a student in the basement reading hall may have been the source. 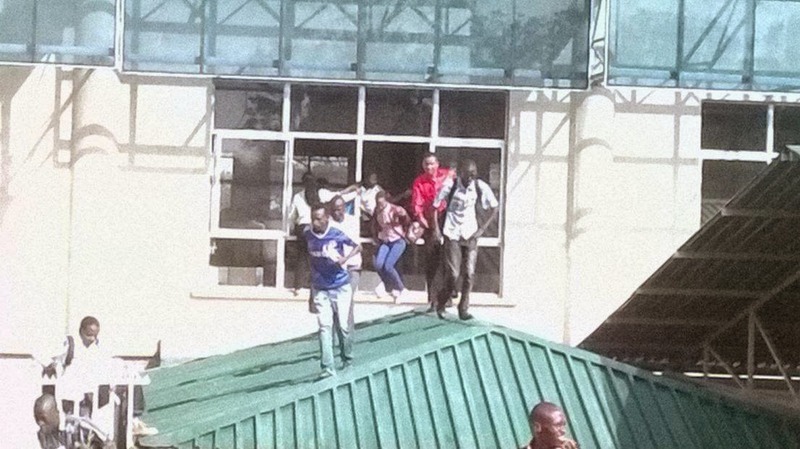 The library was particularly full since it’s exam week, and with the knowledge of what happened at Westgate, some students opted to jump out of windows. 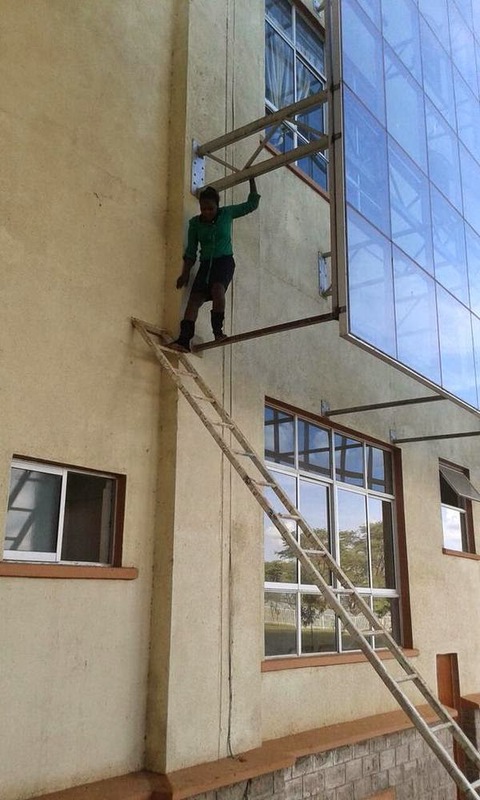 Many are said to have suffered injuries in the process. 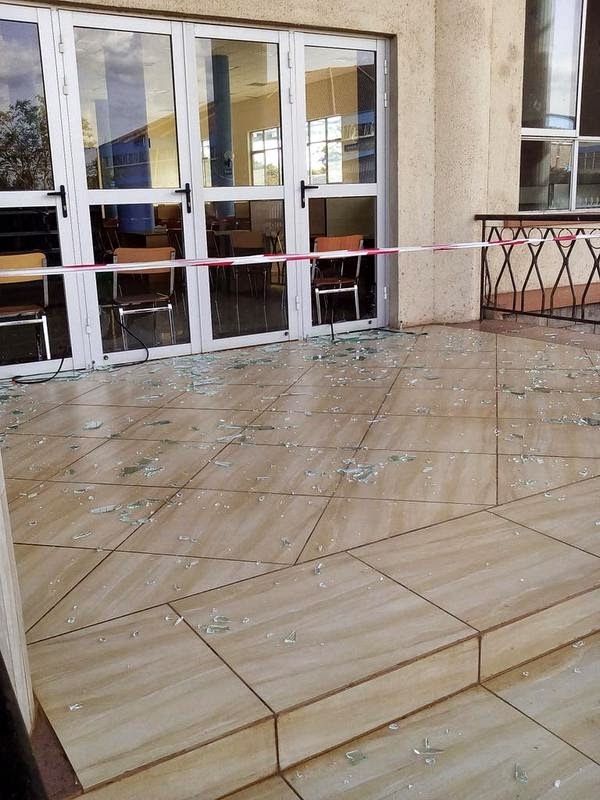 Laptops and other belongings were left lying around, but the administration assured them of their safety.